This Friday’s beer lineup and details! There will be NO Happy Hour on draft beers this Friday. 8oz and 16oz pours will be offered on most beers. Starting at 5:30, tickets will go on sale for a 7oz pour of Mornin’ Delight AND Darkness. 1 ticket per person, $25/ticket, must be present and 21+ to purchase. If there is any beer left after all tickets have been collected, 7oz pours can then be purchased. 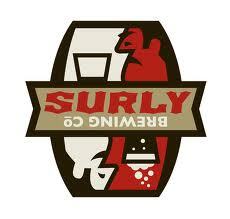 Beer Man Murph, Brewmasta Mike, and Chris Flenker from TG along with Omar, Jordan, Splinter, and Holly from Surly will be at Reds that evening. Man, that’s a whole lot of bigwigs under one roof!! If you’re at Kinnick tailgating the next day, look for all of us! We’ll be floating around!